Brunch has always been one of my favorite meals! I love trying a new brunch place, especially whenever we travel. My husband and I recently spent the weekend in Raleigh, NC for our anniversary. 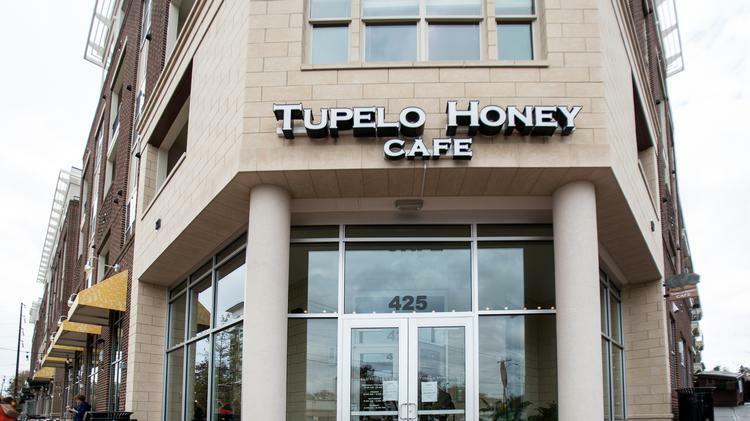 We had the pleasure of enjoying brunch at Tupelo Honey Cafe. Did you know? 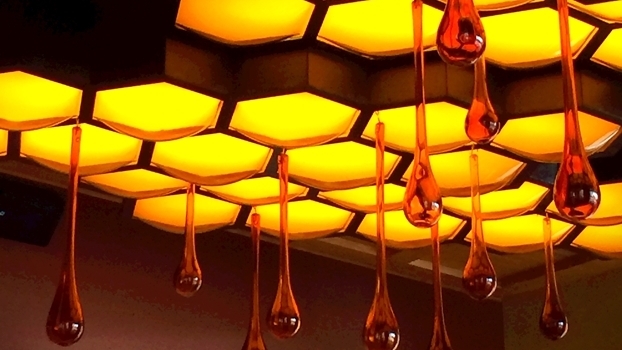 Tupelo Honey is a high grade honey produced where a water-lover tree grows. It is called tupelo honey, but in fact it comes from only one tree from the many tupelo tree species, Nyssa ogeche, found in a small region in North Western Florida and Southern Georgia. Tupelo Honey is a rare, and delicious form of honey. It was clear to see that Tupelo Honey is a hot spot for locals when we arrived. The atmosphere is really neat. Old school southern charm meets modern flair! The staff was friendly and very welcoming. The brunch menu is divine. There is a great selection of your classic brunch dishes along with some southern inspired dishes. 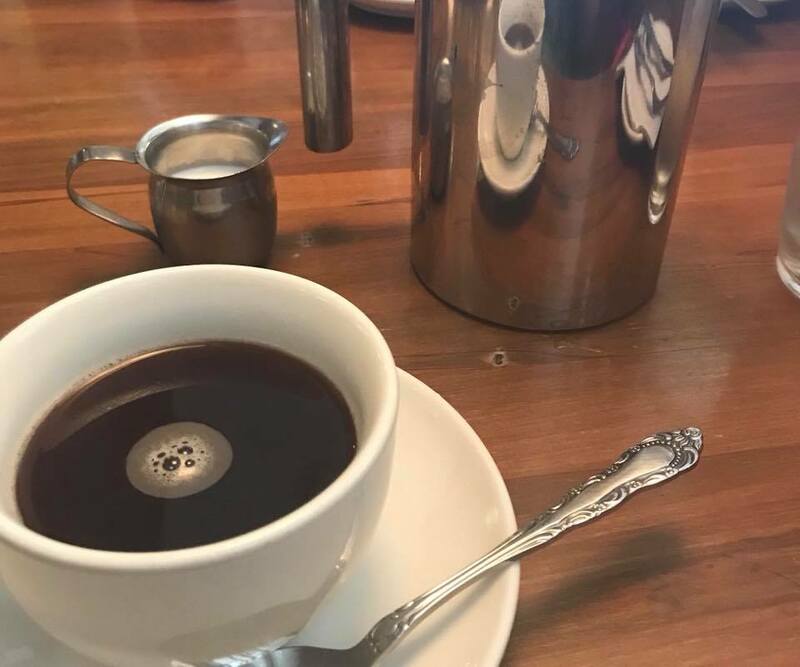 We started our brunch off with French Press Coffee for two. If you like coffee, then order this. 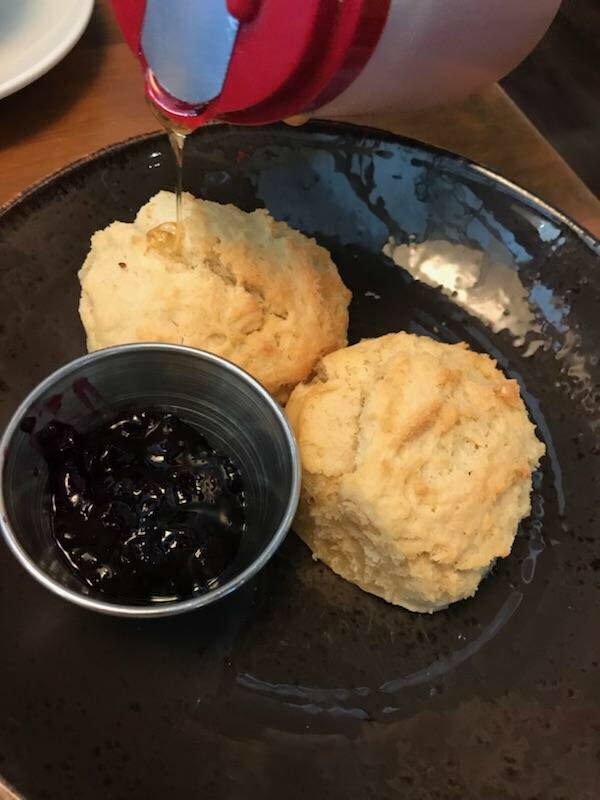 We were also served biscuits with jelly and, of course, Tupelo Honey. Oh my, so so yummy! I had to try the Shoo Mercy Omelet. 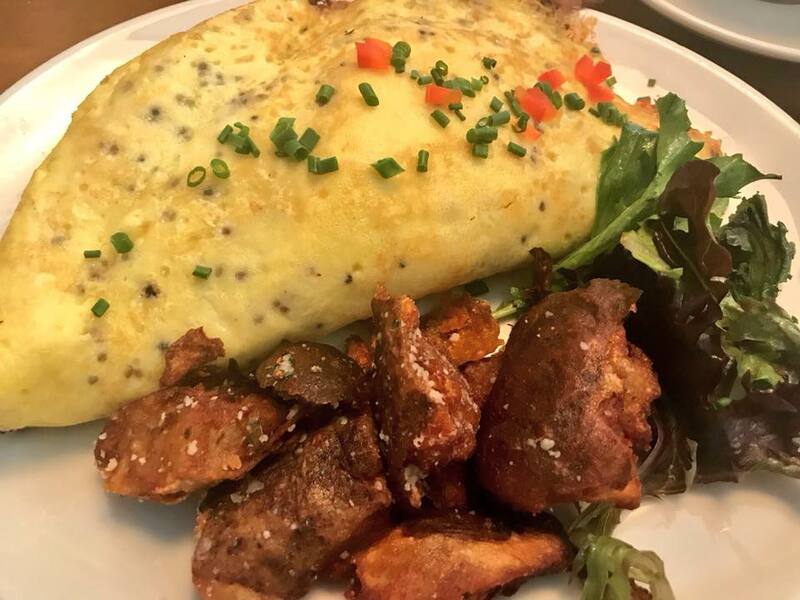 This is a good size omelet with fried green tomato, smoked ham, bacon, pimento cheese, pickled jalapeno, and served with potato cracklins. The combo of a fried green tomato and pimento cheese in an omelet is like nothing I have had before. It was creamy, savory, and I devoured it. The potato cracklins are seriously the best way to eat potatoes. I am not sure how they make these, but I am certain they will serve these in heaven. My husband went with the Fried Chicken & Biscuits. This dish is made with goodnight brothers country ham, milk gravy, and basil. The basil really added a nice touch to this dish. 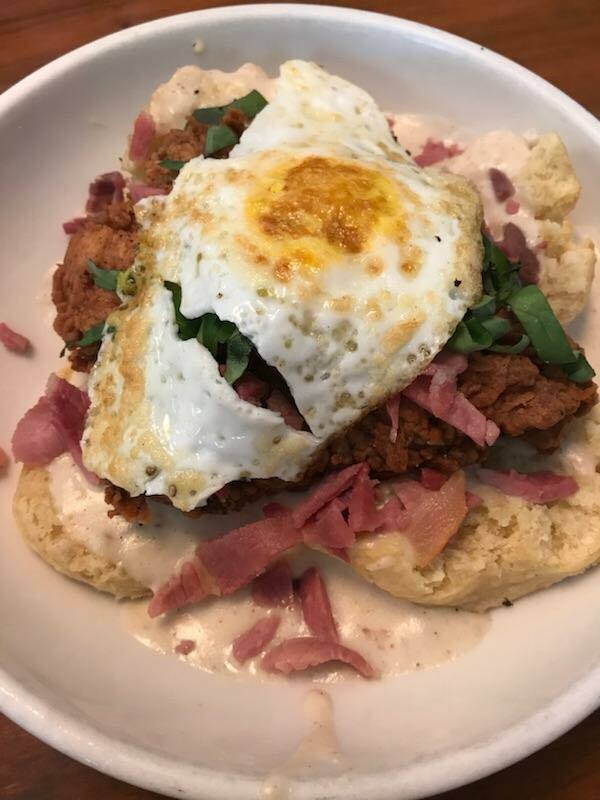 The Chicken was fried perfectly and served on top of the biscuits. A hearty, savory meal. Certainly a southern staple! 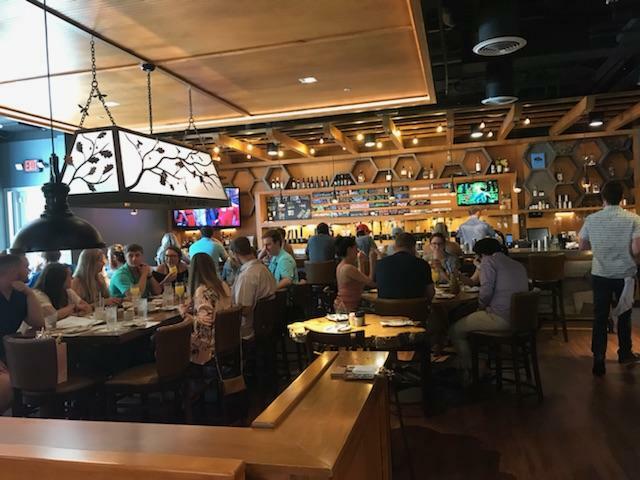 We really enjoyed our brunch at Tupelo Honey and can’t wait to try another meal here, or maybe even come back for another round of brunch! I was provided with a complimentary meal in exchange for my review. As always, all opinions are 100% my own. Kids Opening Day at Nats Park! Meet the 2019 Girl of the Year, Blaire Wilson! « Ralph Breaks The Internet: Wreck-It Ralph 2 Trailer!